This clock This clock is finished in glossy hardwood with quartz movement and a metal base supported by four solid feet. 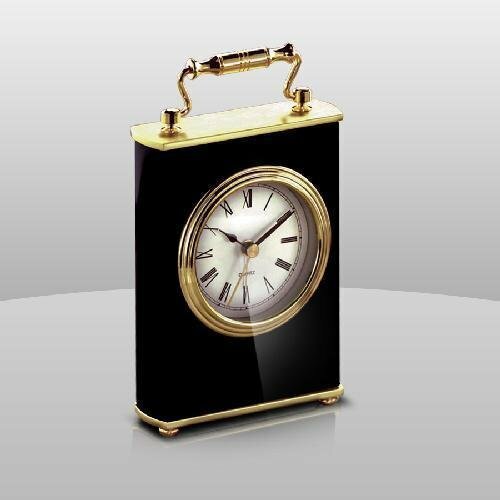 This item is part of our Clocks & Gifts Section. Gold or silver plates are available upon request and at additional cost. 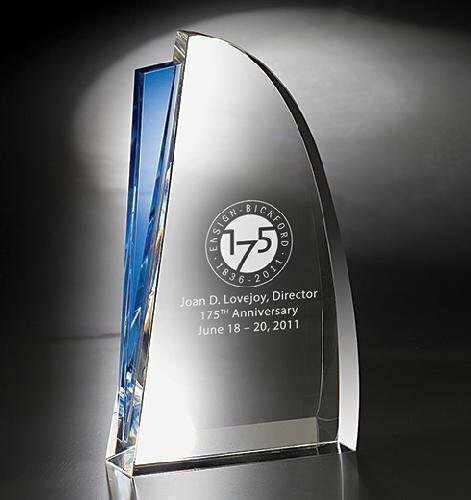 Large, heavyweight award features a sleek design and blue optical crystal band down the side. Standalone award featuring a large etch area.